King Padmore: Okay, let me say this right at the beginning: Double Switch is my favorite FMV game of all time. L.N. Thrower: My favorite is Ground Zero Texas, but my second favorite is Double Switch. It was so far ahead of its time. 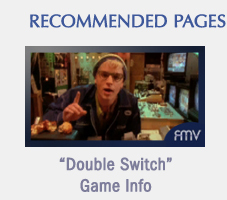 There were some bad FMV games that came out in the Sega CD era, but Double Switch actually got it right. Padmore: It really did. 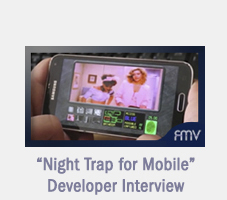 It took the concept of Night Trap and improved the controls and interactivity. Thrower: And the cast. The cast is just wonderful. Deborah Harry and R. Lee Ermey really steal the show. Corey Haim is great here too. Padmore: Absolutely. Love the cast. Love the acting. Love the stunts. And the set design is incredible. To this day, no other interactive film has surpassed it. It's a brilliant achievement in film history. Not just video game history, but film history. Thrower: It's the pinnacle of FMV. Padmore: Wow. I actually didn't expect us to agree this much about how great this game is. This is a lovefest. Is there even a point to discussing this further? Thrower: Yes. Because it's back! It's all new. 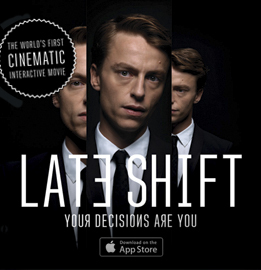 Padmore: Right, and I love the way this game plays on mobile. The touchscreen controls are such an improvement. Thrower: I feel like they really got it right. I was really worried that it wouldn't translate from the gamepad, but it translates perfectly. Padmore: It does. It's the most fun I've had playing this game. Padmore: So, was there anything you didn't like about it? Thrower: I would have liked for the file size to be smaller. It takes up a lot of space on my phone (1.3GB on Android/1.8GB on iOS). Padmore: Interesting. I was actually leaning the other way. I'd like to see a larger file size so we can see the video uncompressed. 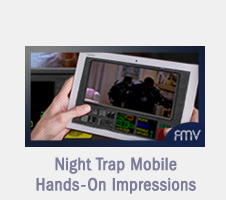 So I guess the developers hit a good middle ground here for mobile audiences. Thrower: I'm sure we'll get to see the uncompressed video on the Steam version. That would be the definitive version. Padmore: But it won't have the touch controls. Thrower: True. You'll just have to buy both (laughs). Padmore: You know, this version actually surpasses my expectations for how great this game could be. I would give it 5½ stars if the scale went that high. Thrower: It's awesome. It's a great re-introduction for a great game. FINAL TAKE: Overall, Double Switch is a masterpiece and this version is the best way to play it. We couldn't recommend it more highly.